Mexican Pine Snakes, which are common in Western Sierra Madre, are similar to snakes of the pituophis deppei jani genus. 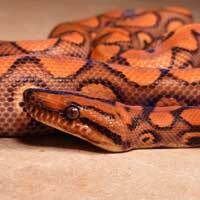 These snakes have a soft brown color except on their heads, which are red, orange or brown. The front part of the snakes bodies is normally white and they also have saddle markings that are far apart. The saddles appear darker around the neck and subsequently fade towards the snakes trunk; they darken again towards the snake’s tail. An adult Mexican Pine Snake has between twenty-six and thirty-two markings on their bodies. Adult snakes measure between one and a half meters and two meters while the young Mexican Pine Snakes measure between thirty-five and forty-five centimeters in length. Hatchlings have grey or brown scales but as they grow, the color of their scales darkens as they develop the saddle markings. They have ridge-shaped scales that are brown. These snakes also exhibit round pupils. These snakes prefer highland environments especially valleys that range in a limit of one thousand, five hundred meters to two thousand two hundred meters. They mainly prefer highland deserts and woods consisting of oak and pine trees. 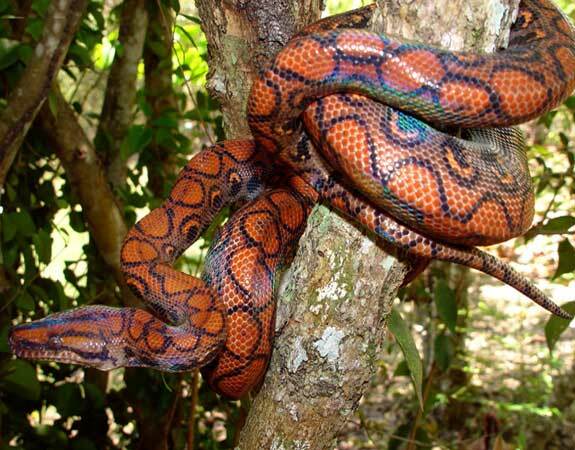 These snakes are extremely secretive and docile; they like to rest in hidden places such as bushes and rodent tunnels. They are not aggressive though when disturbed, they may hiss and spit at the attacker but they rarely bite. They are active during morning hours and in the afternoon, they prefer to rest under tree shades. Mexican Pine Snakes mainly feed on rodents such as small mice and rats, which they eat by swallowing entirely and crushing them using their trunk muscles to ease digestion. Female snakes lay about a dozen eggs at a go, which they hatch after two and half months to three months.